Inspired by Rosemary Millette's original paintings. The Pheasant Collage Wall Art features seven images creatively placed in a visually pleasing configuration. Inspired by Rosemary Millette"s original paintings. 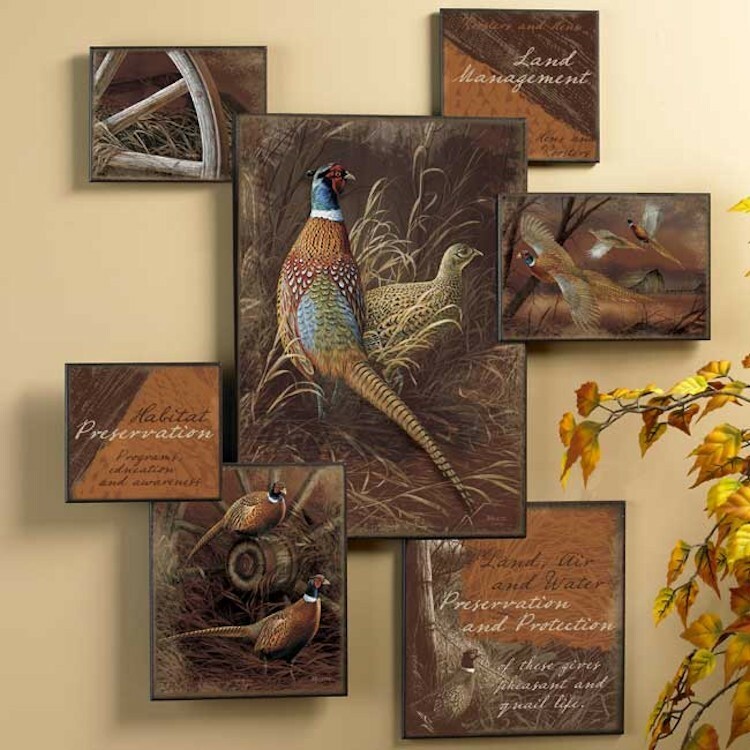 The Pheasant Collage Wall Art features seven images creatively placed in a visually pleasing configuration. Individual images are mounted on 3/4" black finished wood backer.